A very wise friend recently said to me, "It's hard to need and it's even harder to admit our need." When we say "me too" we remind each other we're in this together. We "need" together. 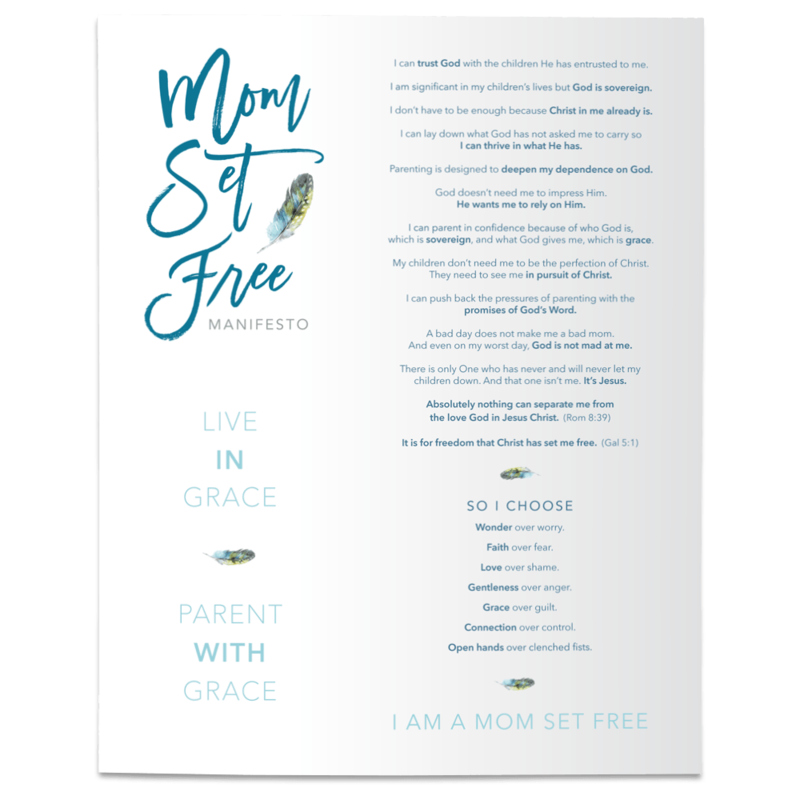 We are brave but weary moms imperfectly pouring our hearts into our kids, needing to be reminded that all of our imperfection is covered in the perfection of Christ. How amazing is that? So hard to believe and so easy to forget! I love my kids with every piece of my being, too. I know what it feels like to have your heart walking around outside of your body, too. I know the pride you feel when your child succeeds in something they love to do, and I know the worry that overwhelms you when you see your child define themselves by their mistakes. I know the fierce mama bear instinct that consumes you when you see your child mistreated, and I know the sadness in your heart when you realize the days are long but the years really are short. I know what it feels like to be having so much fun with your child that you think you might burst with laughter, or to be so completely wiped out by your child that you think you might die from exhaustion. And I know that sense of accomplishment when everyone is tucked safely into bed and the sheer joy of seeing them all (at last, thank you God) fast asleep. I know what it feels like to say the wrong thing, do the wrong thing, even feel the wrong thing. I know what it feels like to want to hide in a closet for 10 minutes where no small person can find you. I know what it feels like to stumble and fall, daily. I know what it’s like to wake up in the middle of the night wondering if tomorrow your child will remember what a disaster you were the day before. I know the shame that makes it’s home in your heart when you weren’t slow to speak and quick to listen. I know what it feels like to wonder if your harsh words dug a wound too deep to heal. I know what it feels like to curl up on the couch at night, after a long and ridiculously hard day, and cry a river over the mountain of mistakes you made all day. But oh friend, I also know this. I know we don’t have to achieve unachievable perfection for God to love us. In Christ we are enough. We are already lovable to our Savior. YOU are enough. YOU are already lovable to Jesus. I need to be reminded of the gospel - God’s wholehearted love in Jesus Christ- every day too. On Mother’s Day and every other day, you are fully accepted and fully forgiven, fully known and fully loved. Happy Mother’s Day, loved one. Do you know of some brave but weary moms who need to hear "me too." Will you share this with them through the social media buttons below? Or give her the gift of this book that will set her heart free and remind her that God wholeheartedly loves her in all of her imperfection. Yes, we all need to hear "me too."